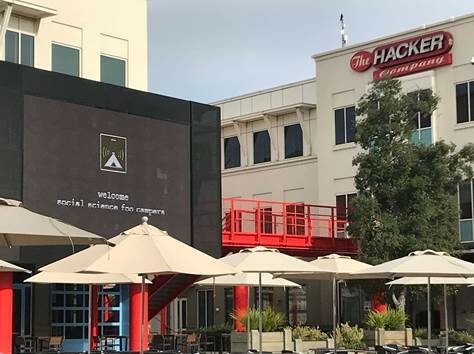 Earlier this year the first ever Social Science Foo Camp (Soc Sci Foo) was held at Facebook’s HQ in Menlo Park, CA. Co-hosted by SAGE, O’Reilly Media and Facebook. Foo stands for ‘Friends of O’Reilly and the first event was organised in 2003 at O’Reilly’s HQ, with the first Science Foo Camp (Sci Foo) being held in 2006. You can read SAGE’s own Ziyad Marr discuss this year’s Sci Foo over on Social Science Space. Soc Sci Foo 18 followed the ‘unconference’ format of other Foo events as attendees were greeted by Tim O’Reilly (O’Reilly Media), Ziyad Marar (SAGE Publishing) and Lada Adamic (Facebook), and encouraged to spend the weekend meeting new people and exploring ideas that could have far-reaching impact. During the course of Soc Sci Foo we were able to speak to leading academics about the opportunities and challenges that social scientists are facing when working with big data and new technology. Analysis at this scale is no longer an idealistic notion for social scientists but it does require new skills, tools, and knowledge so they can—to quote Soubhik Barari—effectively operationalize research findings, regardless of whether this is to improve industry products or inform society. Over the next few weeks we’ll be sharing a number of these short videos with you that give you an insight into how big data is changing social science and the hurdles that this presents to traditional methods of analysis. Luke Sloan, Deputy Director of the Social Data Science Lab discusses the opportunities presented by social media data at this year's Social Science Foo Camp. Frauke Kreuter discusses breaking down the barriers to entry that social scientists face when working with new computational methods and technology. Face your fear, jump in, and let the computer help! Nick Adams, creator of Public Editor discusses the opportunities presented by big social data and the digitization of textual data as well as the challengers facing social scientists in a data-intensive society. Gabe Ignatow talks about the progress made in the collection of data and the opportunities, ethics and challenges that this brings to the social sciences. Professor Gina Neff, Oxford Internet Institute, talks about the importance of social scientists getting involved with big data and computational methods. Justin Ginnetti discusses the importance of big data when monitoring internal displacement while at the 2018 Social Science Foo Camp. 'It's okay not to know'.